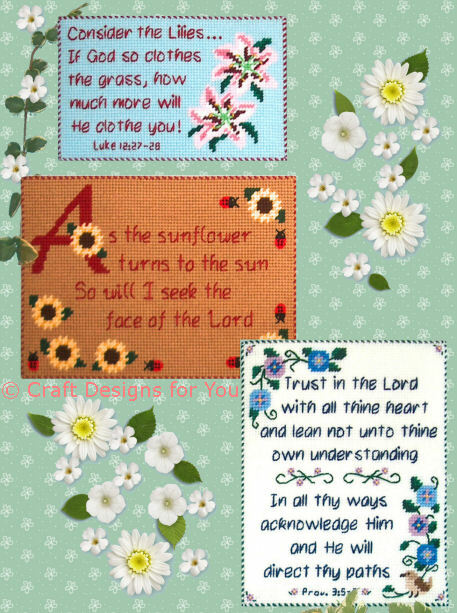 A Trio of Inspirational Floral Sampler Wall-Hangings! Stitched with 4-ply yarn on 7-count plastic canvas with some 3-ply or DMC floss. "Consider the Lilies" is 12" x 7-1/2". "Seek the Lord" is 13-1/2" x 10". "Trust in the Lord" is 10-1/2" x 13-1/2".